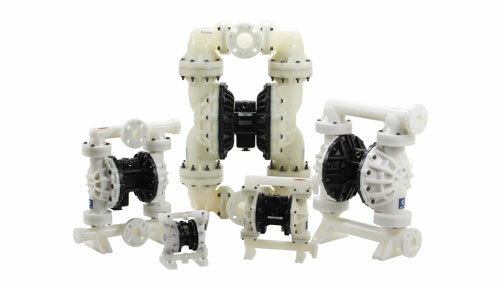 McMath Controls offers a variety of different Husky Pneumatic Double Diaphragm Pumps. All units have rugged construction to resist corrosion for reliable performance, therefore having a long operating life. The Graco heavy-duty design offers increased productivity, and lower overall cost of ownership. This lube free double diaphragm pump provides flow rates up to 300 gpm (1135 Ipm) . Graco has a wide selection of material to handle numerous different applications including corrosive and abrasive fluid transfer.